Eagle Ridge resort, Itasca, Il. John Hirth presents strategies to be a "Top Performer". 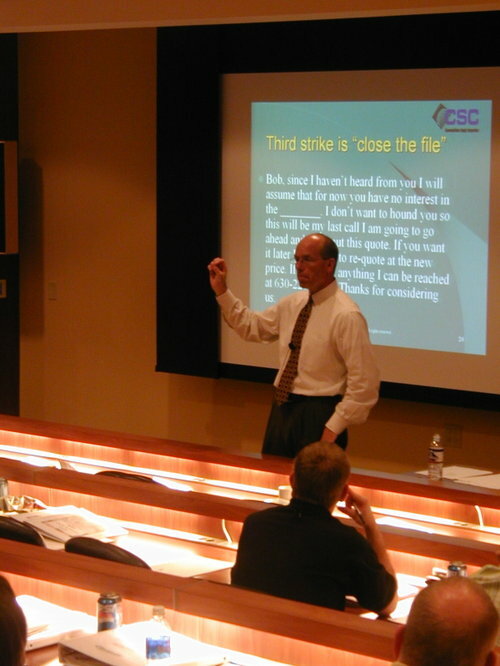 Here John talks about the "three strike rule" with members of the CSC inside sales staff. CSC is a national distributor of wire, cable and low voltage products. They have 300 inside and outside sales people serving the contractor, end user, municipality and goverment markets.